Neville Dawidi Birritjama experienced the full force of social change in the Arnhem Land community of Milingimbi during his lifetime. He was a young child when the Methodist Overseas Mission was established on the island in 1923. This was closely followed by the arrival of the first anthropologist to the region, as W Lloyd Warner based himself in Milingimbi between 1926 and 1929 to conduct the field research that led to the publication of A black civilization: a social study of an Australian tribe in 1937. 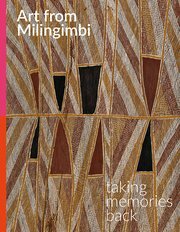 Like many of his peers based at Milingimbi mission, Dawidi undertook various forms of employment in addition to his art practice, working on the farm and constructing fences around the community, near the bush camp and at the airport. This involvement in working life was an expectation of the mission if any form of assistance was to be provided and was a means of imposing Western practices and ideals. Dawidi balanced this work with his social and cultural obligations. In 1956 he became the leader of the Liyagalawumirr clan, following the death of his father’s brother, Tjam Yilkari Kitani. This position afforded Dawidi custodianship of the Wägilak sisters ceremonial cycle. Given his relatively young age at the time, Dawidi was initially guided in this role by mentors, including brothers Djäwa and Mungunu, also known as Dhawadanygulili, the Djungkayi (ritual manager) for the Wägilak sisters. By the early 1960s Dawidi was able to assume his responsibilities in full and he became the principle authority in recording the Wägilak sisters in artworks. Dawidi’s style was heavily informed by his predecessor, Yilkari, and his work has influenced the work of Paddy Dhatangu who subsequently inherited the rights to paint the Wägilak. The works of all three men were brought together in the exhibition The painters of the Wagilag sisters story 1937–1997 at the National Gallery of Australia in 1997. The three works in the Art Gallery of NSW collection titled Wägilak sisters story date from 1959 and 1960, and are among his earlier works on this subject. They highlight the subtle variations explored by Dawidi as he sought to realise the details of this complex narrative in visual form. His constant iterations of the main elements of the Wägilak are repeated in each work, nuanced with particular details that relate to specific incidents. Within these works Dawidi employs a form of figurative visual language to document the events experienced by the Wägilak sisters. Laid on a plain background with regulated cross-hatching, the works offer a literal account of events that can be easily deciphered. 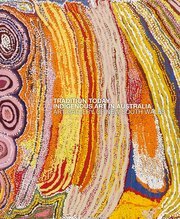 Central to each work is the form of Wititj (an olive python synonymous with the generically named rainbow serpent) encircling the figures of the sisters and their children. In Wägilak sisters story – Wititj (olive python) 1961 Dawidi takes a more distinct approach, capitalising on the potential of the body of Wititj to create a graphic image based on line, colour and form. Dawidi worked closely with Alan Fidock, the lay missionary and teacher who arrived at Milingimbi in 1961 and built on the solid work of mission superintendent Reverend Edgar Wells supporting the production of art for sale. 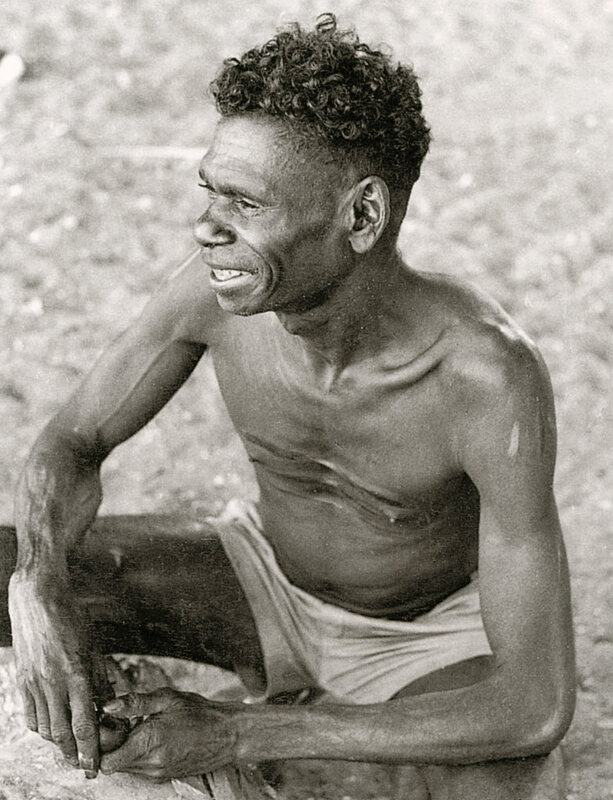 Fidock documented Dawidi taking part in a Wurrpan (emu) ceremony with Binyinyuwuy at Milingimbi in the 1960s. Dawidi also became a close confidant of the Czech-born, Paris-based artist and collector Karel Kupka, who visited Milingimbi between 1956 and 1973, and collected an extensive collection of works that were subsequently acquired by a number of institutions, including many in Europe. Like Djäwa, Kupka considered Dawidi ‘a brother’, and he features heavily in Kupka’s publication Dawn of art (1965). Dawidi is reported to have painted at Maningrida on the mainland at times and he made the conscious decision to teach his daughter Daisy Manybunharrawuy to paint, as he did not have a son old enough to take over his painting responsibilities.